The information contained in this website is not intended nor implied to be a substitute for professional medical advice. Always seek the advice of your physician or other qualified health provider prior to starting any new treatment or with any questions you may have regarding a medical condition. Nothing contained in the website is intended to be for medical diagnosis or treatment. Please contact your physician immediately if you are suffering any medical problems. BHP will not be responsible for the consequences of your decision to utilize any medical information found on this site. Information on this web site is provided “as is” without warranty of any kind, either express or implied, including but not limited to, the warranties of title or non infringement, or the implied warranties of merchantability or fitness for a particular purpose or use. You are advised to confirm the accuracy of any information on this site before relying on it in any way. BHP makes no representations about any merchant or services advertised other than those supplied by BHP. Further, information that BHP publishes on the world wide web may contain links to other sites that are provided only for your convenience. BHP does not control those linked sites and makes no representations about the other sites that you may access through this site. 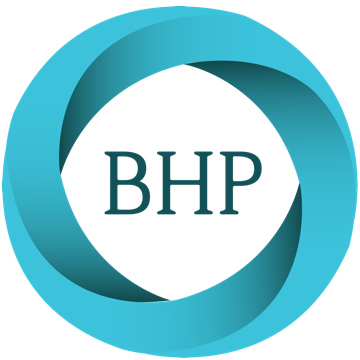 BHP does not endorse any product or service offered by any company or person linked to this site, nor is BHP responsible for the content of any information published on the site of any other party. Excepting BHP’s own products, services and materials, BHP, its officers, employees, agents and representatives neither represent, endorse nor warrant the accuracy, reliability, completeness or correctness, timeliness, quality or usefulness of any opinions, advice, services, merchandise or other information provided through the website or on the internet generally. In no event will BHP be liable to you or anyone else for any decision made or action taken by you or anyone else in reliance upon the information provided through the website. User acknowledges that any reliance upon the information or materials is at their own risk. You acknowledge and agree that BHP cannot and does not guarantee against viruses, worms, or other unauthorized users or hackers attempting to obtain access to this website or information transmitted to or from this site. In no event shall BHP be liable for any direct, indirect, incidental, consequential, special, exemplary, punitive, or any other monetary or other damages, fees, fines, penalties, or liabilities arising out of or relating in any way to this website ,services, or sites accessed through this website, and/or content or information provided herein even if BHP is expressly advised of the possibility of such damages. A user’s sole and exclusive remedy for dissatisfaction with the website is to stop using the website. Behavioral Healthcare Providers, Diagnostic Evaluation Center (DEC), Diagnostic Evaluation Center logo, SchedulR, SchedulR logo, and other names, logos, icons and marks identifying BHP products and services referenced herein are trademarks and/or service marks of BHP and may not be used without the prior written permission of Behavioral Healthcare Providers. Other products or company information referenced herein are trademarks of their respective owners. This website is subject to the protection of the copyright laws of the United States and foreign countries. BHP authorizes you to view or download a single copy of the material on this website only for your personal, noncommercial use; any other use of BHP’s website without the prior written permission of BHP. BHP also reserves the right to temporarily or permanently discontinue this site, any page, or any functionality on this website at any time and without notice. Governing law: You agree that any claim or dispute relating to the BHP website or your use or reliance on this website shall be construed in accordance with the laws of the State of Minnesota without regard to its conflict of laws provisions. The parties agree to be bound and shall be subject to the exclusive jurisdiction of the local, state or federal courts located in Hennepin County, Minnesota. All utilization management (UM) decision making is based only on appropriateness of care and existence of coverage. BHP does not specifically reward practitioners or other individuals conducting utilization review for issuing denials of coverage of care. BHP employs no financial incentive payment arrangements with its UM staff and consultants.